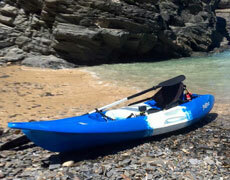 The south coast offers some of the best kayaking that can be explored and enjoyed by sit on tops. We sell a wide range of sit on tops from recreations kayaks that are ideal for paddling along the beach to angling kayaks for those keen fisherman’s looking to fish the Solent. 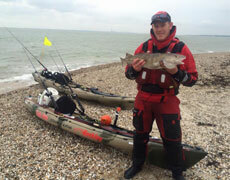 We have the largest range of sit on kayaks along the south coast. We have a great selection of leading brands including Feelfree, Perception, Wavesport, Wilderness System, Hobie and Ocean Kayak. 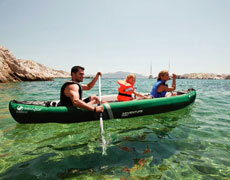 Please contact us if you need any more information or help on choosing the correct kayak for you. Single Sit On Top Kayaks are popular among the paddlers who like to get some time alone or get out paddling with their friends. The range of kayaks allows you to paddle for fitness, recreationally, camping/touring trips and some boats even have space to fit a little one on with you for the ride. 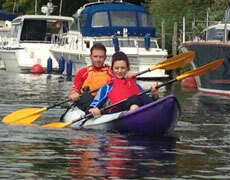 Tandem Sit On Top Kayaks are great for friends and family fun. Some models allow you to fit up to 3 full sized Adults on, yet also allow for some gental solo paddling. Tandem Sit On Top kayaks are great for recreational touring, camping and fitness. Fishing Sit On Top Kayaks are specifically outrigged for fishing, this usually means extra stability, more space and features making it easier to store fish and fishing equipment and some boats even have the stability for you to stand up and cast. However, if you feel like a day off the fishing, feel free to leave the equipment at home and have a day of leisurely kayaking.